Now in its 18th year as the operating company, “the Civic” – which morphed into the more street-wise and accessible Joburg Theatre in 2009 – has become one of the acknowledged success stories of Joburg City’s corporatisation policy. The complex’ largest auditorium, re-named The Nelson Mandela Theatre, regularly sees over 75% of capacity audiences and remains open a minimum of fifty weeks in each year. In the past decade, The Mandela at Joburg Theatre has hosted many hit shows, including William Kentridge’s acclaimed interpretation of Mozart’s THE MAGIC FLUTE, the West End and Broadway musicals WEST SIDE STORY, CHICAGO, THE COLOR PURPLE and SPAMALOT and top-of-the-line global touring shows, such as LE GRAND CIRQUE, LORD OF THE DANCE and BRAZOUKA. For a detailed history of our theatre, please visit www.joburgtheatreptyltd.co.za. The Joburg Theatre complex is owned by the City of Joburg: visit www.joburg.org.za. 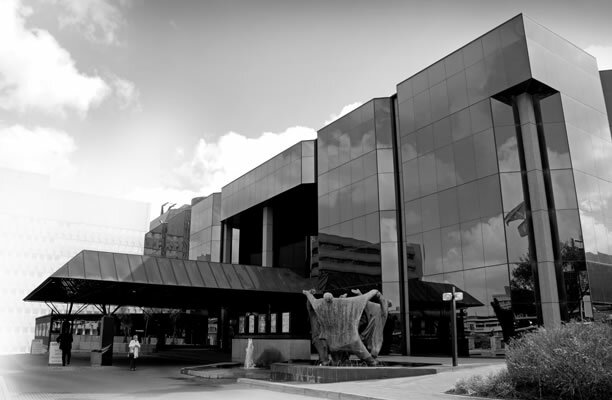 The theatre’s operating company, Joburg Theatre (SOC) Ltd, is a Municipal Entity of the City of Joburg. The city’s Community Development sector retains political oversight of the operations of Joburg Theatre, Soweto Theatre and The Roodepoort City Theatre. To read and/or download the company’s most recent Mid-Year Report and Annual Report, please visit www.joburgtheatreptyltd.co.za. The Board and Management of Joburg City Theatres (JCT) mourn the passing of board member Makhosazana Mbatha who passed away 16 April 2018. Mbatha held a Bachelor of Arts in Communication from the University of Joburg and held certificates in Copywriting AAA and in social media and digital copywriting AAA. She was appointed as a member of the JCT Board on 16 March 2017 and also served on the Board Sub-Committee: Artistic Committee. Our thoughts are with her family, friends and colleagues.